So I have been sewing like a little maniac (not perfectly but…) and have gone ruffle crazy. I have sewn these shabby looking shams for the pillows on Aliah’s bed. I haven’t totally decided if I love them yet or not design wise. 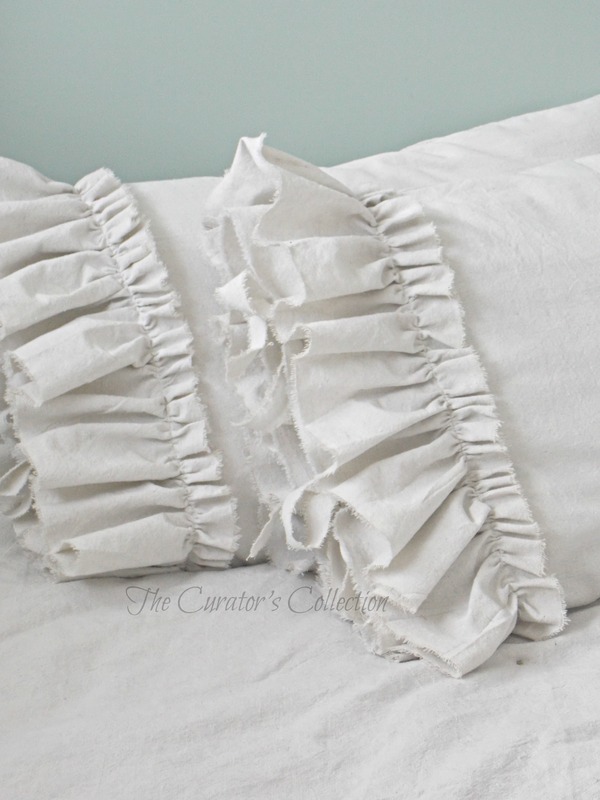 I added a ruffle to only one end of the pillow as well as tie closures on the end. I left the ends frayed and unfinished but sewed along the edge of the fraying in order to not allow it to fray too much. 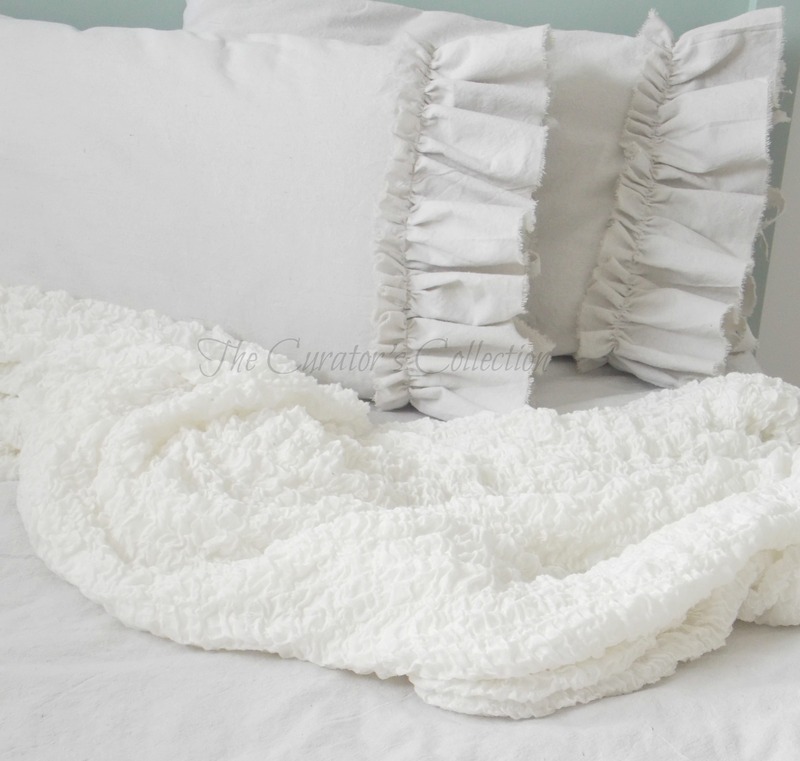 While I like these as background pillows, they do feel to me as though they need something … maybe large wooden buttons along the seam of the ruffle? Satin cream colored wide ribbon? … Any suggestions welcome! I am making more pillows that will have the ruffle all the way around to place in front of these ones so I’m not sure if I should add more detail to these ones or not. I guess they just feel odd on their own right now. 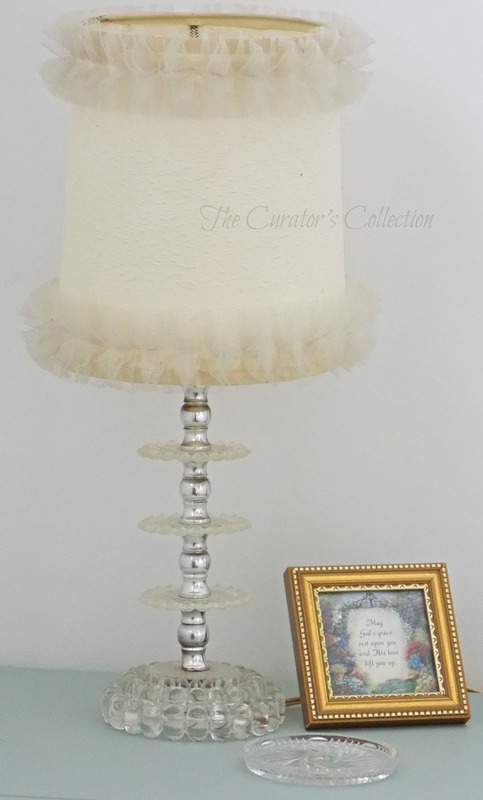 I thought that it would fit perfect into this glam room with it’s vintage ruffles around the shade. The small framed verse was a baby shower gift many years ago from a dear friend and of course … no drinks allowed on the nightstand unless it is sitting on that pinwheel crystal coaster! Well … Back to work! I hope you are having a great week so far! See you here tomorrow for Making Broken Beautiful , I invite you all to join in inspiring us all with your great works and talents! 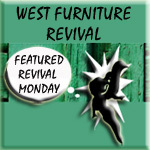 You can check out last week’s links by clicking here. Oh my garden!!! If I was so lucky to get my paws on a machine like that I think I may actually learn to sew properly!!! I can see where it would be intimidating … :) I can’t wait to see what you create with it! Thank you for always leaving me such sweet comments! You really lift me up! Thank you! Looks really fun in there–she must be so excited about her new space! Rip wider pieces of fabric and fold it in half or slightly off-half before gathering and sewing on. I really love the frayed edges–think I have to steal that! 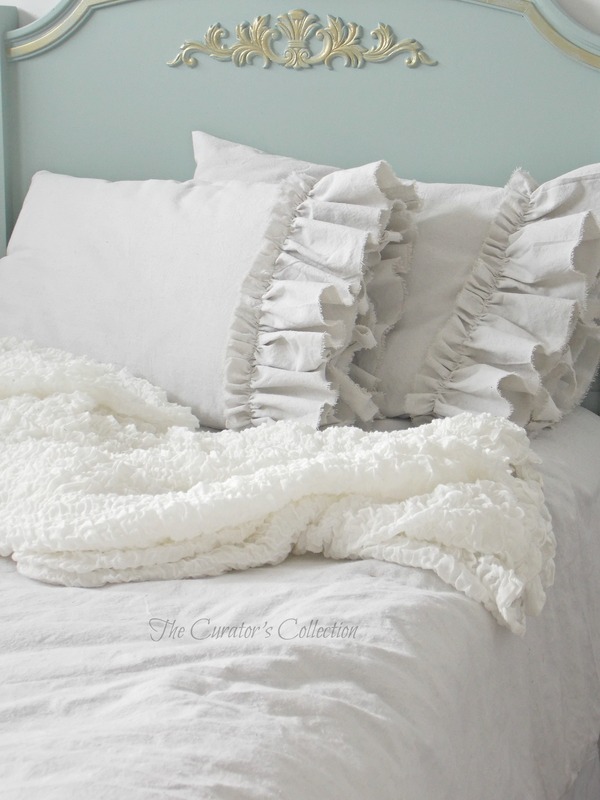 I love your idea for a double ruffle Catherine! I am not much of a seamstress so the tip on how to effortlessly achieve a double ruffle is invaluable to me! Thank you so much for making my life a little easier! I will definitely try the double ruffle! I hope you are having a great week … even with all that snow! ha ha! 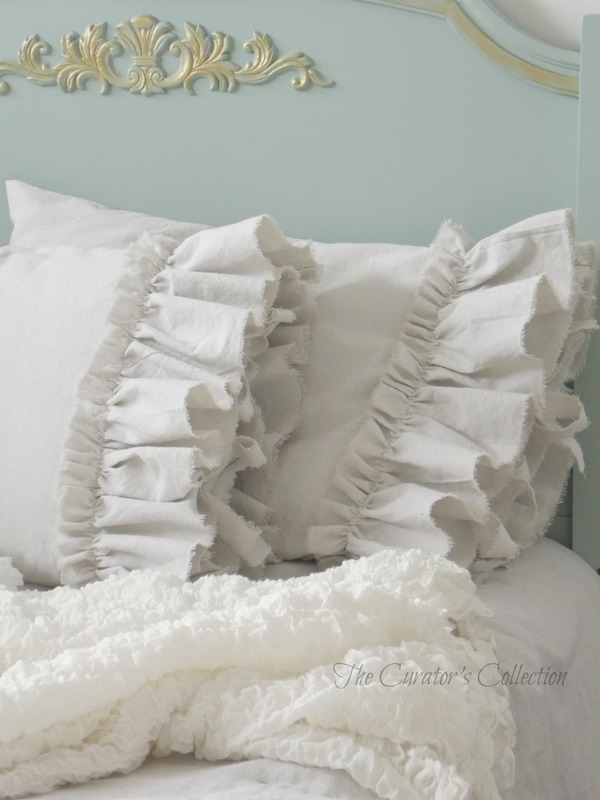 I do love how you did the ruffle on these pillows with the frayed ends. To add my two cents to your question, I think pretty ribbon with a sheen would be lovely along the seam in creme, gold, or the headboard color. What about a ribbon with small subtle clear gemstones to tie in the crystals hanging from the chandelier. Just a thought. Looking forward to seeing the tutorial on how you made them. I think you and I think A LOT alike! I didn’t think of the gemstone though … that is the perfect way to glam it up a bit! I will search it out and see! Thank you for your much valued opinion Marie! I hope you are having a great week! To add on to Marie’s comment, they make velvet lingerie elastic, totally washable, would tie into all your romantic shabby elements. Marie was spot on in calling out a subtle contrast color, this would really add a high end boutique look. ooooooohhhhh GREAT idea! I never even thought about that …. THANK YOU! I hope you are having a great week! The thing I love about the pillows are the ties. Really tops it off. Maybe you might add a romantic stencil to the pillow? They’re perfect either way. OOOOOOOOh great idea! I will certainly keep that in mind! Thank you so much for the idea! I hope you are having a great week! I love the sneak peeks of Aliah’s room. I bet she is so excited as it is going to be beautiful. She is super happy with what is going on in there so far …. I just hope it stays pretty … if you know what I mean! ha ha! To be honest … you may be seeing her on an episode of Hoarders at some point in her life if we don’t get her under control now … she has a creative mind as well and hates to throw out “useful” things ;) This makeover is a blessing for her and I’m happy she is okay with it! Thank you for the visit! I hope you are having a great week! Simply beautiful! My youngest daughter “flipped” her room at least once per year growing up. Isn’t it fun to create new spaces for our sweeties? Thank you Tone! I hope I can get on that post soon! Have a great weekend! I love them just the way they are, gorgeous! Thank you Nicki! I hope you have a great day! Oh my gosh these are beautiful. I love ruffles, I will have to try doing them myself. 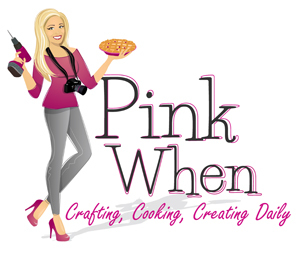 Thanks for sharing at the Thursday Favorite Things Blog Hop. Hope to see you again Thursday. Thank you Rosemary! You made my day! I was going to say stencil too! Gold fleur de Lis! Or potato print diamonds…or WORDS or her initials!! I hope all is well with you and that you are having a great week! Well I’ll bet they look fabulous! Thank you! Can’t wait to see what you’re up to lately! Well you have to leave SOME talent for me…. You are so funny! Where are you when I need you? ha ha! My pillows need rescuing! I hope you are having a great week!